FAIRHAVEN, MA – March 27, 2019 – Local students are getting a free education in how to manage their money. First Citizens' Federal Credit Union is working with Banzai, a national award-winning financial literacy program, to make the curriculum available to 22 schools in Bristol, Plymouth and Barnstable counties completely free. "Banzai is a web-based financial literacy program. Kids have their own bank accounts, and they work through assignments that are based on real life," Morgan Vandagriff, co-founder of Banzai, said. "But because First Citizens' Federal Credit Union is sponsoring it, local schools get it for free. More than ever, it's important that kids develop sound financial skills to prepare them for the real world. 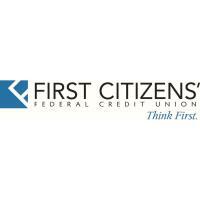 First Citizens' Federal Credit Union realizes that, and they're doing something about it." First Citizens' Federal Credit Union has offered time, money, industry experience, and a variety of financial resources to help local schools teach personal finance in the classroom. Students using the program are exposed to real-life scenarios where they learn to pay bills and balance a budget – but it’s not always easy. Students must learn to manage unexpected expenses such as parking tickets, interest charges and overdraft fees. The educational program also introduces students to auto loans, bank statements, entertainment costs, savings and more. First Citizens' Federal Credit Union is one of the premier financial institutions in southeastern Massachusetts. Today, with over 80,000 members and assets over $750 million, First Citizens' has full service offices in New Bedford, Raynham, Taunton, Mattapoisett, Wareham, Falmouth, Mashpee, Hyannis, Orleans and a lending office in Plymouth, MA. For more information, visit www.firstcitizens.org.